The T4 was created for manufacturers and integrators. What’s different about the T4? 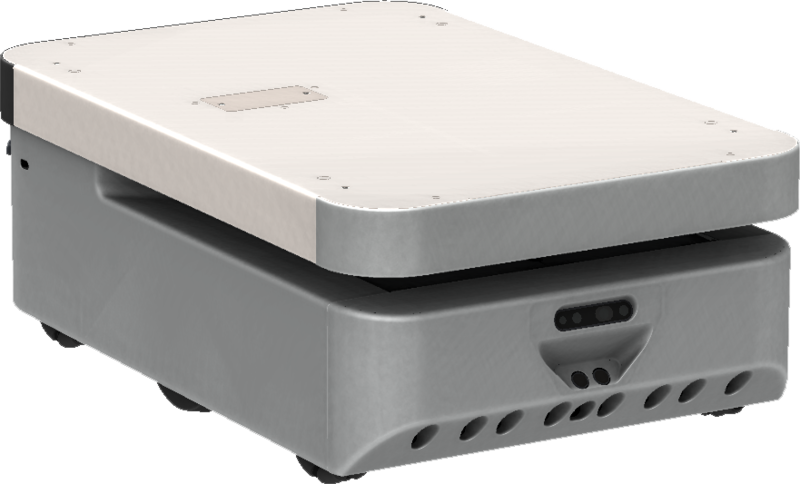 The open platform of the T4 allows integrators to connect smart payloads, such as conveyors, through its top-side hardware connection. Standard programmable logic controls and our LogicOS module synchronize the T4 with attached devices or external automation. Integration between our Fleet Manager and your MES / ERP system provides multiple ways to control TUG jobs. The T4 eliminates cart tending and delivery in manfuacturing environments. 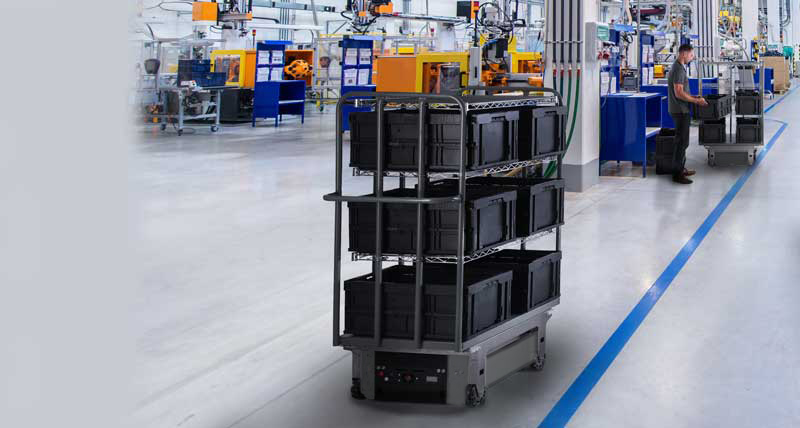 This industrial mobile robot automatically picks up and drops off carts and delivers them anywhere they are needed: a line-side location, inventory, inspection or finished goods. The T4 can haul up to 250 lbs / 113 kgs. 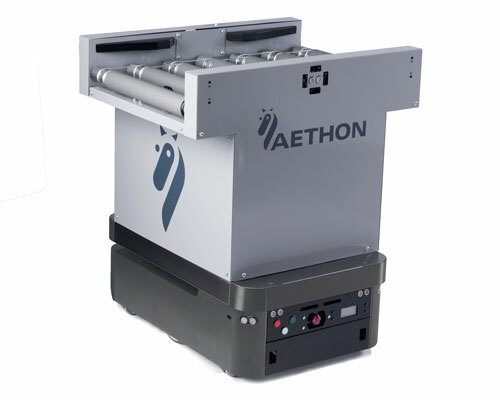 Aethon’s TUG family is already known to be safe and reliable and the T4 improves upon that reputation. By adding a 3D stereo camera we can achieve navigation fidelity that was not possible with lasers, sonar, or infrared. The T4 can achieve travel speeds up to 2 meters per second even when fully loaded. This is great for long, uninterrupted runs through very large facilities. Most of the time you probably won’t need to travel that fast, but it sure is nice to know you can punch it if you need to!